This game title uses the Frostbite 3 game engine and looks great. We tested Battlefield 4 with the Ultra graphics quality preset as most discrete desktop graphics cards can easily play with this IQ setting at 1080P and we still want to be able to push the higher-end cards down the road. We used FRAPS to benchmark with these settings on the Shanghai level. 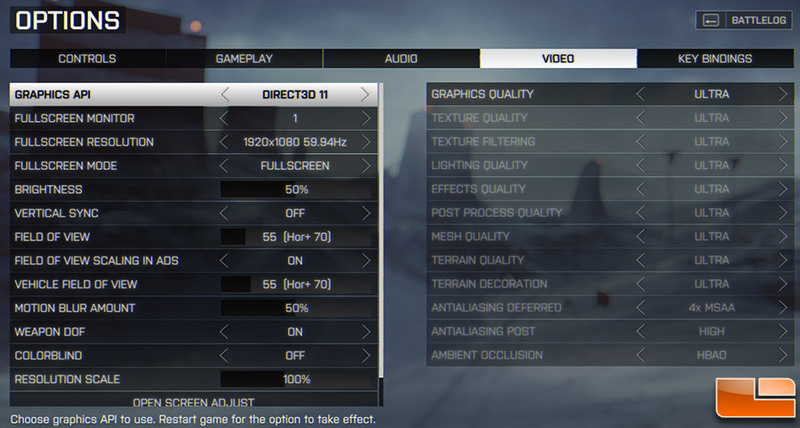 All tests were done with the DirectX 11 API unless noted in the chart. 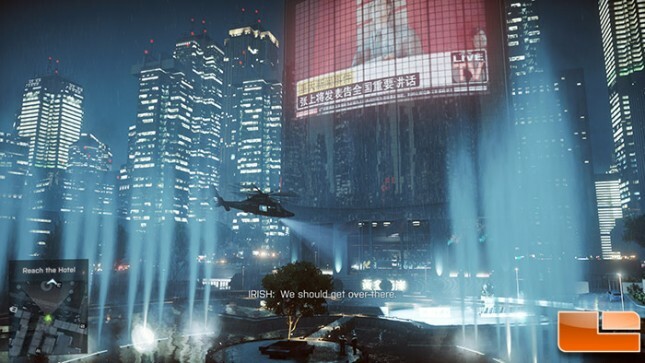 Battlefield 4 is more CPU intensive than any other game that we benchmark with as 25% of the CPU is used up during gameplay. 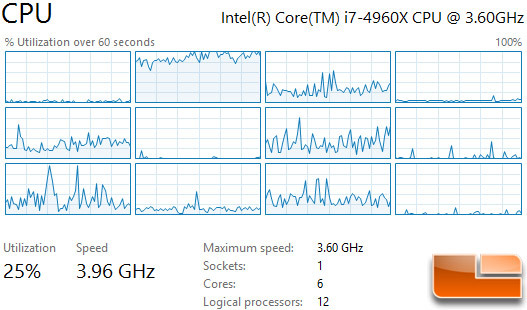 You can see that six threads are being used and that the processor is running in Turbo mode at 3.96GHz more times than not. 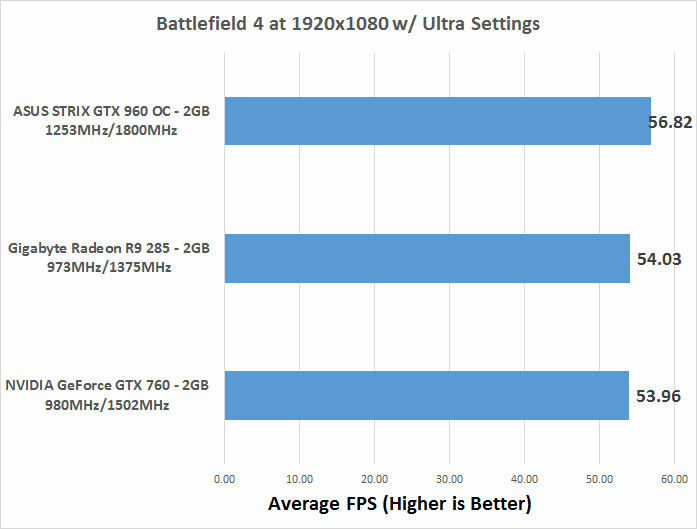 Benchmark Results: In Battlefield 4 with Ultra settings at Full HD 1080P resolutions we found that all three video cards were pretty much dead even with less than a 3 FPS difference between them. None could average over 60FPS, but they are all close.